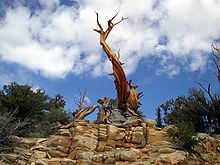 For those not in the know, Bristlecone pines are the oldest living things on earth. They can be as much as 5000 years old. They grow in isolated groves at and just below the timber line in a few areas on the planet. They grow in inhospitable conditions including cold temperatures, dry soils, high winds, and short growing seasons. The wood is very dense and resinous, not prone to invasion by insects, fungi or other pests. As the tree ages, often only a narrow strip of living tissue may connect roots to a handful of live branches. They grow slo-o-o-o-o-wly but they hang on, sort of like the law in America. I have worked in higher education, in the campus based lending sector for over 30 years at this point, and I have an ongoing fascination with American federal law. Sometimes its hard to believe its still alive when you see some of the deadwood we are dragging around that poses as the law of the land. Like the bristlecone, at times it feels like there are a few branches connected to the roots and the rest is dead as a doornail and as dense as bristlecone wood. The law attracts its own version of insects, fungi and potential pests: members of Congress, attorneys and sycophants with a vested interest mostly in the contents of their own vests, and nothing is as inhospitable and bleak as a law library if you ask me. Congress has the high winds (windbags) and short growing season (Congressional sessions) covered. All the detractor factors do some damage in the end, but I’d like to think they do just as much that is good either accidentally or on purpose. Think of them as the good insects, like lady bugs. 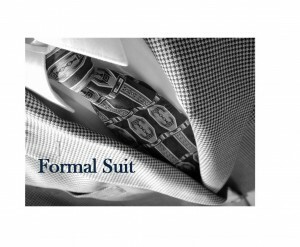 Looked under "attorney" for clip art, got "formal suit", how truly perfect is this? 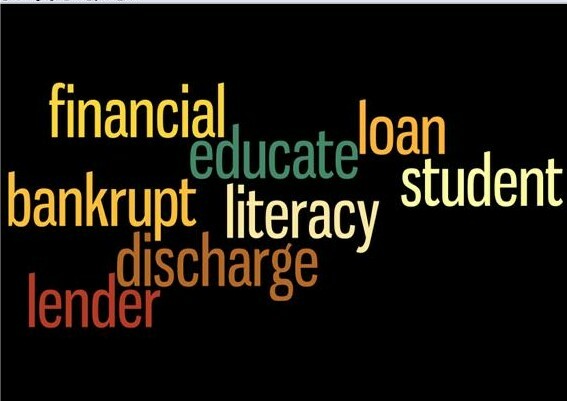 I’ve been researching bankruptcy law and student loans yet again, because since George’s bankruptcy overhausl in 2005, things are on the boil. Okay, a slow motion molasses boil, but still, change is in the wind. After BAPCA, the Bankruptcy Abuse Prevention and Consumer Protection Act, the pendulum started a slow swing away from creditor protection and back to consumers. This was helped along by the collapse of the economic house of cards Americans were living in. People stood up in the rubble of lost jobs and foreclosed homes and took a good look around at how we got here. Enough folks poked needles into their Senators and Representatives to get at least two bills written to protect student loan borrowers from predatory lenders in bankruptcy. Neither of those made it out of committee because the goverment has had bigger fish to barbecue, but I sense a shift in how bankruptcies are treated as far as student loans go. I fully expect something to get enough steam and trajectory to make it into law within the next two years, or more…remember the bristlecone. I see two culprits, and since I don’t work for anyone but me these days, I can say what I want (the emperor has no clothes!). Culprit the first: the Current Bankruptcy Law. Yes, its fine and dandy to say no student loan can be discharged in bankruptcy, but that doesn’t look at the human faces stuck with that debt, and sometimes collection fees make a 20K debt add up to 70K, remember those predatory lenders? Where’s the fresh start in that? I am of the opinion that we should put some kind of cap on student loan debt. I am hoping our bristlecone pine Congress can figure out how to craft a law that actually helps borrowers get a fresh start when they have earned it. Here’s my take on the how to: IF someone can prove they have made a good faith effort to pay their loans, stayed in touch with their lender/school and followed through to the very best of their ability, there should be a cap on non-dischargeability. We know a lot of loans pop good at seven years out of school, so the cap needs to be at least ten years out of school WITH the aforementioned demonstrated efforts. If you still can’t pay your loans and you have to file bankruptcy, let the loans go. Fine, never let Joe Schmoe return to school and get any kind of loan, that stops that abuse right there, but if Joe has $200,000 in medical bills he can’t pay why would we stick him with an aged out bloated student loan that has tripled in size? Culprit Number Two: The School Who Failed to Explain to the Student What Borrowing Money Really Means. We are hearing a new buzzword in this industry: Financial Literacy. Its about damned time. Financial Literacy means the school takes responsibility for educating their students in the realities of money. It teaches them about the consequences of overborrowing, and it puts the brakes on the amount of money they can borrow, gearing it to what they can realistically expect to repay. Liberal arts schools pride themselves on educating the entire student, preparing him/her to take a place in society as a participating member. If they haven’t bothered to give the student a good fiscal education, are they really educating the entire student? Schools are delighted to sign students up and be paid for the process, but if we are focused on the traditional 18 year-old especially, shouldn’t we be helping them understand what it costs to live in this country, how to budget funds, save and make a good future for themselves when they step out with that diploma and look for a job in a crappy economy? For the first time in history, student loan debt has outpaced consumer debt. More students owe more money than all the credit card and consumer debt added togetherin the country as of June 2010. At this writing one in twelve people from the age of 18 to 24 is in debt hardship, in 1989, only 12% of people that age were in such dire straits. On campuses across the country Perkins Loan and Student Accounts Offices have historically been whistling in the dark trying to get anyone to pay attention and lend a hand because this is one of those its takes a village things. Finally, the village is paying attention, can I get an amen? I’m really looking forward to seeing what happens next in the snail race in Congress to change the bankruptcy law. And I’m watching financial literacy campaigns and strategies pop out every where on campuses, I’m looking forward to tracking the best of them. I’d really like to stop seeing schools as part of that rarified forest that lets old dead trees hang on with ancient roots and only a few living branches for 5000 years…. This entry was posted in Roxipedia Musings on the biz of Higher Ed, Uncategorized on March 24, 2011 by rox.